This edition contains detailed introduction to this novel- Anna Karenina, its author- Leo Tolstoy and its translator- Constance Garnett. This novel, "Anna Karenina," was written by the Russian writer Leo Tolstoy. It was first published in book form in 1878 after its publication in serial installments from 1873 to 1877 in the periodical, "The Russian Messenger. The 1901 translation of Anna Karenina by Constance Garnett is still popular and widely reprinted. -Regarded as the best and incomparable in realist fiction, Tolstoy considered "Anna Karenina" his first true novel. -"War and Peace," published in 1869 and "Anna Karenina" published in 1878 are considered the finest literary achievements of Leo Tolstoy. -The novel "Anna Karenina" remains all time popular, as demonstrated by a 2007 poll of 125 contemporary authors in Time, which declared that Anna Karenina is the "greatest book ever written." -Time magazine ranked "Anna Karenina" First and "War and Peace" Third in its poll of the 10 greatest books of all time. -Newsweek in 2009 placed 'Anna Karenina' in its 'Top 100 Books'. -Fyodor Dostoyevsky declared 'Anna Karenina' "flawless as a work of art." -Vladimir Nabokov, especially admired Anna Karenina as "the flawless magic of Tolstoy's style" -William Faulkner, described the novel 'Anna Karenina' as "the best ever written." The novel is divided into eight parts and begins with one of its most quoted lines, "Happy Families are all alike; every unhappy family is unhappy in its own way." Its epigraph is, "Vengeance is mine, I will repay," from Romans 12:19, which in turn quotes from Deuteronomy 32:35. Leo Tolstoy was born at Yasnaya Polyana, 200 kilometers south of Moscow. The 'Tolstoy family' was as of old Russian nobility that traced its ancestry to a mythical Lithuanian noble Indris. He was the fourth of five children of Count Nikolai Ilyich Tolstoy, a veteran of the Patriotic War of 1812, and Countess Mariya Tolstaya. His parents died when he was young and he and his siblings were brought up by relatives. In 1844, he began studying at Kazan University where his teachers described him as unable and unwilling to learn. Tolstoy left the university in the middle of his studies, returned to Yasnaya Polyana and spent much of his time in Moscow and Saint Petersburg. In 1851, after running up heavy gambling debts, he joined the army where he started writing. During his 1857 visit, Tolstoy witnessed a public execution in Paris, a traumatic experience that would mark the rest of his life. He wrote in a letter to his friend Vasily Botkin: "The truth is that the State is a conspiracy designed not only to exploit, but above all to corrupt its citizens ... Henceforth, I shall never serve any government anywhere." 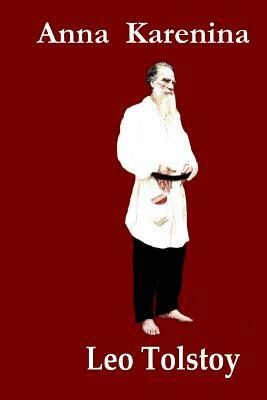 Tolstoy's concept of non-violence or Ahimsa was bolstered when he read a German version of the Tirukkural. He later instilled this concept in Mahatma Gandhi through his 'A Letter to a Hindu' when young Gandhi sought his advice. His European trip in 1860-61 shaped his political and literary development when he met Victor Hugo, who had finished his book Les Miserables. Tolstoy's political philosophy was also influenced by a March 1861 visit to French anarchist Pierre-Joseph Proudhon, then living in exile under an assumed name in Brussels. Apart from reviewing Proudhon's forthcoming publication, La Guerre et la Paix ('The War and The Peace' in French), Tolstoy discussed education with him. On September 23, 1862, Tolstoy married Sophia Andreevna Behrs, the daughter of a court physician. Tolstoy had 13 children from Sofia, eight of whom survived their childhood. Tolstoy died of pneumonia at Astapovo train station in 1910 at the age of 82 after a day's rail journey in south. The police tried to limit access to his funeral procession, but thousands of peasants lined the streets.